Arab media outlets claim Israeli planes hit T-4 base in Syria, where Iranian forces are stationed. A Syrian airbase used by Iran’s Revolutionary Guard was targeted in a series of airstrikes Sunday night, Arab media outlets have claimed. According to a report by Syria’s state-controlled SANA news agency, the T-4 airbase in Syria was attacked by fighter planes which approached from the south. The SANA report claimed that Syrian anti-air defense systems in the Homs area were activated in response to the attack, and that the defense network had successfully thwarted the act of “aggression”. The report did not name the country responsible for the attack. A Syrian military official was quoted by Al-Masdar as saying that Israeli fighter jets were responsible for the attack. The source added that despite heavy surface-to-air fire from Syria’s anti-air defense network, including a large number of S-200 missile batteries, at least one Israeli jet managed to score a hit on the T-4 airbase. Rami Abdel Rahman, head of the Britain-based Syrian Observatory for Human Rights, told AFP that a missile bombardment killed an unspecified number of "Iranian and pro-regime fighters" at the T-4 base and was "likely to be Israeli". There has been no official confirmation from Israeli military officials regarding the report. Earlier on Sunday, Israeli Prime Minister Binyamin Netanyahu reiterated Israel’s long-standing demand that Iran remove its forces from Syria, a point he vowed to discuss with Russia’s Vladimir Putin in an upcoming meeting. Israeli aircraft have struck the T-4 airbase repeatedly in the past, targeting the Iranian military forces stationed at the facility. In February, Israeli fighter jets hit Iranian command units stationed at the base, after an Iranian unmanned aircraft violated Israeli airspace. 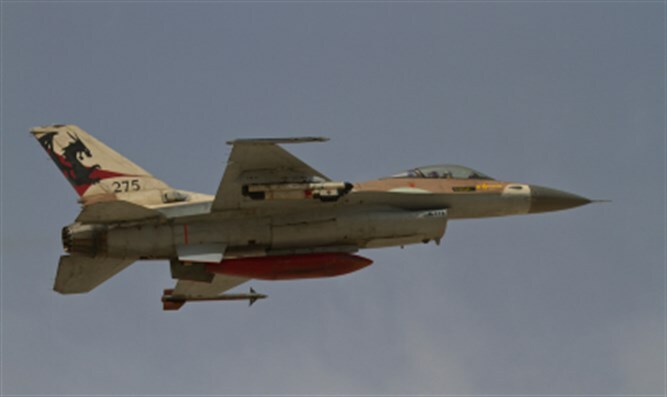 An Israeli F-16 was shot down during the February airstrike. Last week, the Syrian Observatory for Human Rights claimed that Israeli aircraft had bombed a Syrian warehouse used by Iranian-backed forces in Syria.